Streaming audio providers (XM, Pandora, Spotify, etc.) 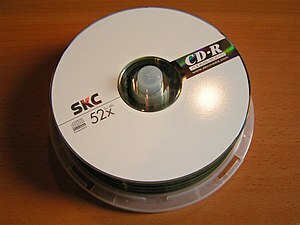 continue to make the CD obsolete by offering us variety and convenience, but in return we sacrifice audio quality. So the question is: does anyone care? If trends in other consumer verticals can give us any hints, then perhaps we’ll soon see a renaissance of high quality audio. In audio, a song’s bitrate describes the amount of information per second that is recorded. Generally, a higher bitrate means the audio will sound better. Streaming audio services like Pandora and Spotify broadcast audio compressed using lossy algorithms in order to make the songs load faster. In other words, to reduce the file size, they toss out information you are the least likely to miss. While that may sound complex, we do something like this all the time when we abbreviate in text messages. Instead of ‘I will be right back,” we write “brb.” Your friend knows what that means, and you saved a lot of room. Musical compression operates similarly by scrapping information that isn’t essential to getting the point across. The ability to compress audio efficiently made way for innovations like the iPod and the iTunes music store, since now you could store thousands of songs in your pocket and download them quickly. This also made way for innovations in streaming music. By compressing the files enough, companies like Pandora can make sure your music plays without having to stop for loading or buffering — providing a continuous listening experience. It also decreases their costs to store and transfer this data, meaning it becomes cheaper for consumers. However, just because you are are less likely to miss what was taken out by compression doesn’t mean you don’t notice that it’s missing. This site lets you play a file at different compression rates to hear the difference. Try comparing the 64 kbps file to the 192 kbps file. You can still understand what’s being said at the lowest audio quality, but there’s a real difference in quality. Although the difference between higher-bitrates (say 160kbps and 320kbps) are less obvious, they are still noticeable when using high-fidelity audio components. In other words, if you’re listening to the music on your laptop’s speakers or Apple Earbuds, you might not notice the difference. But you might if you listen to a good set of speakers or headphones. Imagine walking through an art museum wearing the wrong prescription glasses. Sure, you’re experiencing the same art, but everything’s a little blurry. It’s not the way the artist intended for you to experience it, and that’s why compression is a problem: because it distorts the original work. Today, compressed music is everywhere: the iTunes store, Spotify, Pandora, XM satellite radio. Even the audio component of YouTube videos is compressed to save space. All of these innovations are bringing music and entertainment to our fingertips in ways that would be much more difficult (practically impossible) without compression. However, compressed audio — by definition — contains less information than the original recording. Pandora is doing to music what McDonalds does to food. They’re making music cheaper and more convenient by reducing its quality. So what happens next? As we are seeing with the demand for healthier food, consumers are increasingly spurning mass-produced, preservative-laden food for the real deal — and paying a premium for quality and taste. Companies like Whole Foods and Chipotle are capitalizing on this shifting consumer interest. Even major CPG brands are recognizing this trend, offering product alternatives to keep these customers from buying elsewhere: from Bisquick “Complete” pancake mix to Yoplait’s new entry into Greek yogurt. The coffee market is another great example. Dunkin Donuts commoditized coffee, making it cheaper and more convenient. Starbucks disrupted their model by offering a higher quality product in convenient locations, at a commensurately higher price. 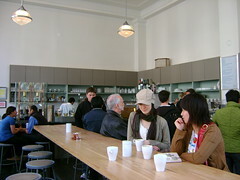 Recently, upstarts promising even higher quality brews are threatening the market, like VC-backed Blue Bottle Coffee. Meanwhile, McDonalds has launched the McCafe brand to bring their own coffee up to snuff. The recent trend in expensive headphones (like Beats By Dr. Dre) seems to suggest that consumers are willing to open their wallets for a higher quality music experience. High definition video sources (especially BluRay) similarly followed the adoption of HDTVs, so perhaps Monster Audio’s success with Beats suggests that higher-quality audio sources will become more prevalent. In fact, it seems that the transition to higher bitrates is already underway. Earlier this year, Spotify rolled out an “Extreme” quality audio setting to the iOS application, doubling the bitrate of it’s previous high-quality audio. This suggests that the major players are unlikely to be caught flatfooted. Nonetheless, there may still be room for a competitor to claim to be the Starbucks or BlueBottle to Spotify’s Dunkin Donuts, offering premium-quality audio conveniently over the internet and/or to vehicles. Perhaps XM will find ways to upgrade their channels to higher bitrates if consumers demand it. Or maybe there will be a greater interest in live performances going forward, as hipsters consider anything prerecorded to be too mainstream. Or better yet, maybe we’ll all hire minstrels to follow us around one day. However it pans out, I am looking forward to being able to fully retire my CDs so I don’t have to be reminded of the Spice Girls album I still own every time I go looking for a new album.